Being the MMO junkie that I am, I have been following the development of The Secret World with some interest for the past few years, despite the fact that it seemed in many ways to be the polar opposite of the kind of MMO I thought I’d enjoy. I mean, it’s set in the present day when I love medieval fantasy settings, it’s got a horror theme when I avoid the horror genre like the plague, it’s an ARG when I dislike having to look up sources outside a game to progress, it’s gear-based when I’d rather bring my wits to a battle, and it’s got a raiding endgame when I’d rather gnaw off my own arm than partake. Oh, and it’ll have a monthly subscription fee, and I’ve all but sworn those off. Still, I couldn’t help but be intrigued by the ideas being put out there by Funcom, and I’ll be the first to admit that the first 30 or so levels of Age of Conan (yes, even the first few post-Tortage levels) were some of the best story and most memorable times I’ve had in an MMO. A level-less system appeals to the part of me that hates self-enforced leveling pacts, and Funcom’s eye for scenery, and gorgeously replicating such, can’t really be denied. So while I haven’t pre-ordered, I did get on over to Gamespot and nab a weekend beta key to try this out for myself. And even though I’d seen a ton of footage and read up on many of the game’s systems, I was still pleasantly surprised at how much I liked what I saw when I got to take the reins. First, the bad, or maybe the “meh.” Character customization is limited. There weren’t very many female faces (or combinations of features) I could choose that made me feel I was looking at a real human, nevermind whether I felt they straddled a believable range of attractiveness. Skin color was inexplicably tied to base face shape. There were no varying ethnic hairstyles to correspond with the diverse (thank you!) ethnic facial features on display. No sliders makes a sad Randomessa. And I couldn’t see a way to alter my body size or shape, even to the degree that Age of Conan allowed it. 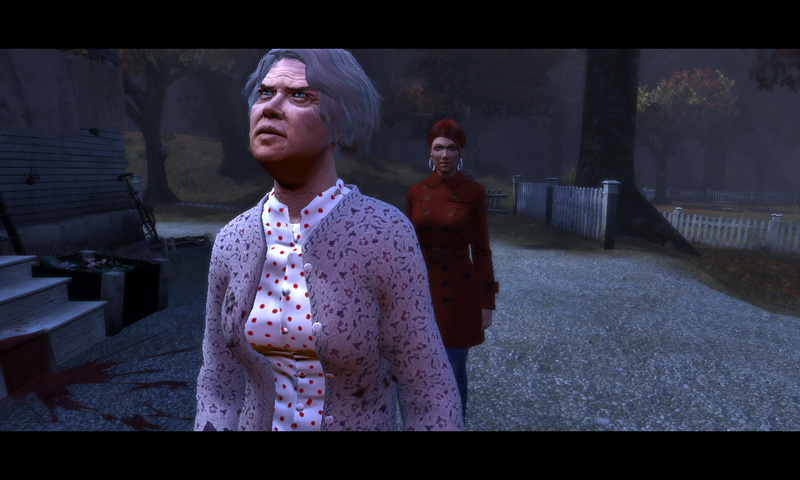 Let me choose this old lady face, Funcom! Character animations are… not very good, in my opinion. Running is pretty bad; jumping is quite awful. In-combat animations have no “oomph” to them; I never feel like I’m really hitting anything, just swinging my arms through mush. I couldn’t figure out how to emote, though in the case that I didn’t miss something obvious, beta is beta and that’s one thing I’m sure will be added in prior to launch. Quests, whenever they more closely resembled typical MMO quests, suffered from the same problems I have with them elsewhere: waiting in line for spawns, competing for interactable nodes, etc. Quests, whenever they did not closely resemble typical MMO quests, were a delight. Being able to put a random bit of knowledge to use in cracking a password was amusing. Having to decipher notes and apply recipes and talk to all manner of crazy people really mixed things up for me, and having quest icons let me know right off the bat if what I’d be asked to do involved wholesale slaughter or investigative work of some sort was just the kind of quest hint I appreciate. As with Age of Conan, NPCs are fun to talk to about a wide range of subjects, and they all are injected with quirky personalities that make them memorable after the fact (I still remember the guy in Tortage who hid the pearl in his… hidey place, for example, and I’ll remember Kingsmouth’s Deputy Andy for a long time as well). I greatly enjoyed all the voice acting and the varied accents involved (being neither a New or Old Englander, I have no idea how cringe-worthy they might have been for one from those regions. I did guffaw with recognition at the fortune-teller’s southern Californian nasal drawl, though). Once I actually got down to fighting, I quickly stopped minding the combat animations so much. This is not to let Funcom off the hook for not making them more impressive, but I did find myself more interested in the effects I could apply and exploit, and combining the skills of two weapons to be more effective. There were plenty of circles of doom to step out of, and big monster wind-up tells, which meant that animations or no, I felt I constantly had to be on the move to get out of hairy situations alive. Getting out of combat mode is hard! Scenery-wise, I couldn’t have asked for more, and I did muse aloud that I think The Secret World may have the best-rendered trees I’ve seen in an MMO yet. Having the in-game clock displayed as a cell-phone HUD is ever so fitting, and made me use the in-game clock more readily than I have in other MMOs that provide the same – it probably helps that sunrise and sunset are done so well here, with the light playing off structures in a really believable way. I’m reminded of LOTRO and Fallen Earth, but I feel TSW takes it just that bit farther, which makes sense given the release year. Not outdoor scenery, but I love this shot all the same. Finally, I wasn’t sure how the “level-less” system was going to feel in practice, and I think it’s clear that you are still gated, in a sense, by how many skill/anima points you can put into building your skill trees; I’m sure you’ll need skills more than 2 points deep (and so on) to beat certain bosses in missions, etc. But from what I could tell, there was one very big gate missing for me as I progressed through the overarching storyline missions: at no time was it “suggested” to me that I be of a certain capability before proceeding, and I actually did skip most side missions just to see if I would be able to. Not only was I allowed to do this, I could also still keep pace with the monsters the game threw at me, even within story instances, which is more than I can say for the previous two heavily story-based MMOs I recently beta tested. I don’t know if this is indicative of the rest of the game or just a case of beta trying to make it easy on us, but I could not have been happier. Oh, I’ll do the side missions – I have nothing against them – but being the story fiend that I am, if I had a common complaint to lodge against both SW:TOR and Guild Wars 2, it was that my major storyline was spread out over levels such that I had to engage in other activities before I could feasibly continue, and I hate being restricted in that way. Not having levels meant both that the early zombies were not quite trivialized, while still allowing me to see progress in my ability to take down harder enemies. Later I look forward to not facing down an exponential XP curve to acquire that next SP or AP (dare I hope?). One riddle I can’t seem to crack about The Secret World is that of audience; that is, what is the audience Funcom is going for, and how big is it? On the one hand, I welcome the changes from the standard MMO, both genre-, mechanics- and content-wise, and I think this could be a really strong niche title with an amazing, helpful, tight-knit community if it gets all the technical issues ironed out before launch. On the other hand, with EA backing it, how happy would they be with a “strong niche title?” I just don’t see this going over well with a lot of crowds, from the open-PvPers to the action combat fans to the sandbox aficionados to the rush-to-endgame crowd. Yet it has the raiding and the gear progression and a subscription fee that seems to imply they expect more than a few folks to cross over from other games and make a home here. I can’t quite figure it out. What would constitute a success for The Secret World? So now I find myself wondering whether the things I feel TSW does so well – story, interesting world and characters, variety and complexity in gameplay, stunning graphics – really do trump the things that bug me like the odd old-school resource competition, a raiding end-game with gear progression, subscription fee, and my qualms about the audience and success it may or may not achieve. I don’t have an answer yet, but prior to this weekend, I thought there was no question at all. I’m not convinced there isn’t some Illuminati mind control involved. Illuminati mind control and a soft-focus lens. Let’s take a stroll down memory lane, shall we? Among my list of games I would play if they were F2P, one just joined in on the fun, and the other will be there by fall. We are at 50% saturation… come on, WAR and Vanguard, you know you want to. I am quite looking forward to being able to pop back in to City of Heroes/Villains with my old “paid” characters; my husband and I had a nice thematic team going, and although I don’t foresee it becoming our main, default log in each evening kind of game (though nothing really fits that bill at Chez Randomessa), we have plenty of good times ahead of us, I’m sure. Age of Conan, I’m much less sure about. In the time since last year’s post, I have discovered I have an animosity toward a lot of MMO conventions, and Age of Conan skirts enough of them to significantly dampen its appeal to me. As I stated even then, once the Destiny quest content had petered out, there was little that really held my interest in Hyboria. Perhaps Mr. Randomessa and I will take our characters through the Gateway to Khitai just for the heckuvit. That’s more, at least, than we had before. And if we like it, I wouldn’t be opposed to purchasing the rest of Khitai for us to own and play on our own time! Oh, but today…. today, we play Hellgate: Resurrection. I have tried out a number of MMOs, both paid and free to play, and I can’t say I’ve noticed any stark differences between the two styles as far as the fun factor is concerned. I’ve even subscribed to a few games, and/or bought longterm or lifetime subscriptions to others. But I am beginning to feel more strongly as time goes on that no one game can appeal to all of my gaming desires, so it is not reasonable for me to buy into one game and play it to the exclusion of all others. I just don’t want to have to pay subscriptions for all of them, when I play them so sporadically! Warhammer Online: the thought of a free T1 experience was appealing to me until I discovered that only Empire vs. Chaos lands could be accessed. I would be back in a heartbeat if Mythic enabled me to, say, pay by the tier – if I could purchase T1 access and have access to all three lands forever (or even one fee per pairing; I would pay that, too! ), with all of my characters. If they would add fees for access to T2 through 4 in the same way, I’d be all over that. They could take from DDO’s model in this way, such that anyone could obviously bypass the Tier For Fee option and just pay a full subscription for access to the whole game. Age of Conan: I loved the Tortage experience, but even so, I’m not that big a fan of repetition and after playing through the 1-20 game with all four archetypes, I feel I’ve exhausted that content. The addition of new content through the Rise of the Godslayer expansion has me really tempted to return and try running through with a member of the Khitai race, and really itching to try out the lands of Khitai for their contrast to the existing continents. But again, it would be really nice if I could buy this content. I would even be willing to pay extra on the price of the expansion if I could “own” access to the lands of Khitai. Heck, charge me $25 over the expansion box price and let me progress only through the lands of Khitai, stopping at level 40, but have access to that area forever. City of Heroes/Villains and Champions Online: My partner and I had a lot of fun with CoX, though, as many others have said, most of our time was spent in character creation and we never really made it past level 12 or so (though I have a level 21 character that I soloed with). Again, it seemed just a bit too much to maintain a subscription for the amount of time we were spending with the game, and feeling compelled to “get our money’s worth” on the subscription tended to make us feel a bit sick of the content early on (I doubt I would have felt the mission structure was as repetitive as I did if I only attempted one mission in a week, instead of trying to get in 4-5 per night). Champions Online was my solo game, and I had enough fun with it that I felt sad when I canceled my subscription after one month, for the aforementioned reason. Vanguard, Saga of Heroes: Now, here is a game that I feel would benefit from enabling permanent free access to the trial island. Between my better half and I, we couldn’t even make it to Adventuring level 10 in the two-week trial period, let alone in the other two spheres. I do have a concern that we game in too short of spurts to really make it far in a game of such sprawling landscapes and dungeons as Vanguard, but I would like to try, and would happily pay a one-time per-area fee for that opportunity. Someone on the Massively forums said, in response to a player bemoaning the lack of American players’ ability to pay by the hour when playing games the way they do in Asia, that “if you play enough” the subscription fee is a bargain. Yes, it certainly is – if you play enough. Right now the only option with subscription games is to either play “enough,” overpay for sporadic gaming schedules, or not to play at all. However, I have been temporarily widowed by Mass Effect 2: my partner has been enjoying this far more than he did Dragon Age: Origins, and it shows, as he just finished up the storyline last night after days of dedicated play, and is about to start his second playthrough with a new character (“this time, I’m going to be evil!”). Until now, I had not felt the sting of Cryptic’s lack of alternate advancement for Star Trek Online, since thanks to bridge officer customization I have no desire in this game to create alts for the sake of creating alts. Now that we are not gaming together, I still feel the urge to play STO, but don’t want to progress my character, who is expressly dedicated to duoing with my better half. 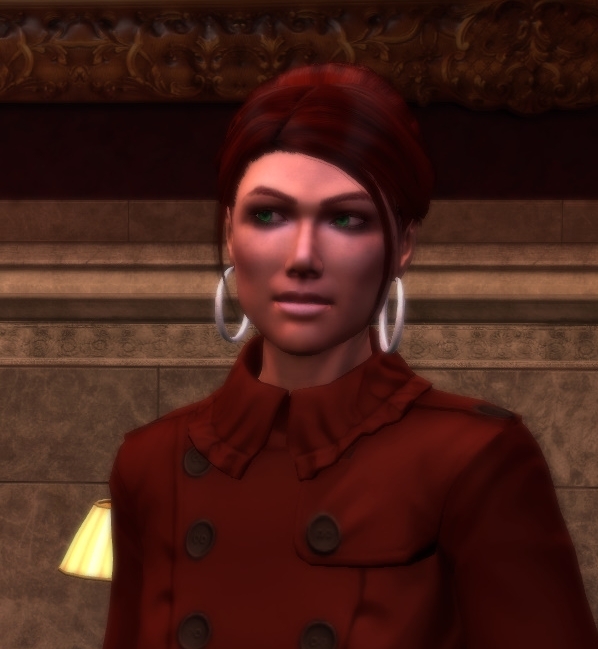 While any leveling disparities might be alleviated if only Cryptic would import their own sidekicking mechanic from Champions Online back into STO, I have realized there is a bigger issue here, and that is: we both love a good story too much to pass it by. I keep forgetting that since I do not play single-player games and my partner does, I will always need a spare MMO that I can solo to fall back on while he is getting his story on. The problem lies in the fact that we do not wish to maintain multiple subscriptions to games, and I can’t think of an F2P game that has an overarching solo storyline to sink my teeth into (I am re-considering Mabinogi, but I have tried that game more than once in the past and it just hasn’t clicked with me). In short, I deeply regret that STO does not yet have a viable alternate storyline path for me to play during those times when duoing or grouping is not possible for whatever reason. But hark! 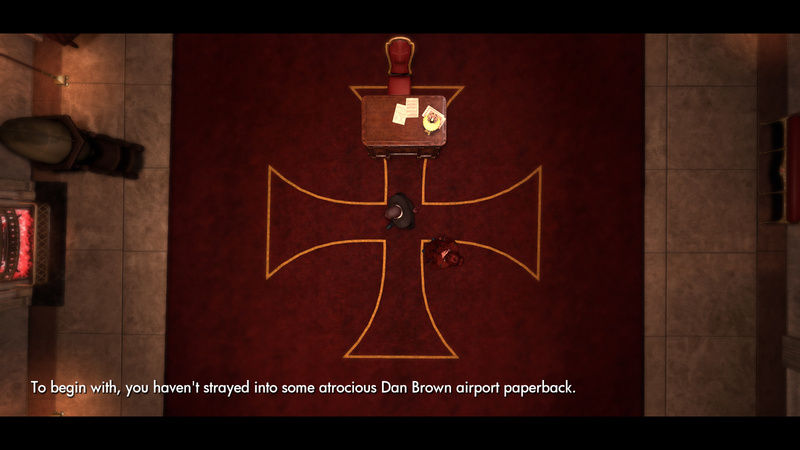 There is news on the (possibly far, far off) horizon: Gods & Heroes: Rome Rising has been resurrected! Oh frabjous day! Callou! Callay! While this will not take care of my secondary MMO needs in the here and now, I look forward to every new option on the horizon with rubbing-hands-together levels of glee. First of all, I would like to thank everyone’s favorite nuns with rulers, the fine ladies over at No Prisoners, No Mercy, without whose Star Trek Online closed beta key contest my better half and I would not have been able to play over last weekend. Thanks, Fran and Julie! Our closed beta adventure was not without its minor flaws and glitches. We spent the first two days we had access to the beta simply downloading and patching the 8GB bundle, likely due to the last wave of CB testers flooding the servers for their own piece of the CB pie. There were also a few interludes of downtime that forced us to get up and stretch our legs, eat, interact with each other face to face, etc. but thankfully they were short-lived. We were ready to jump on to the servers as soon as they opened Saturday, and we were there until exhaustion took over on Sunday night. I did take plenty of screenshots while we played, but unfortunately because I used Fraps instead of Print Screen, my UI is everywhere and I won’t be posting those pictures. However, my thoughts and those of my better half can be found below. The Pretty Pretty Princess Factor (Graphics): This game scores many points with me as far as aesthetics are concerned. It’s difficult to believe this is the same engine that Champions Online runs on, because the character models alone are worlds beyond CO’s in quality. The overall quality and the amount of detail on the models is reminiscent of Age of Conan – though not quite at AOC’s level – and the amount of customization available easily dwarfs it. While STO’s female avatars can’t take their shirts off and lay their chests bare to all who wander by, they can stand around with their hips cocked seductively if you so desire. Costume customization was suitably understated, given that you’re fighting for the Federation, but the ability to wear the TNG-movie era uniforms or, with an easily applied code, the Wrath of Khan admiral uniforms, was still thrilling. In addition to this, I was able to customize every aspect of my bridge officers’ appearance excepting their race and gender, and in the case of choosing a new requisition I was able to choose that as well. I am normally an altaholic in MMOs, always seeking out different races/looks and ways of combining them, and I see STO scratching that itch for me simply because of the array of options available to me with my bridge officers. How this will play out when I’ve invested months into a main character remains to be seen – I’ve never gotten that far without going alt-crazy before. Everybody was Kung-Fu Fighting (Combat): Easy to learn, difficult to master? I was wary about ground combat even after watching several Youtube videos that showed gradual improvement over time, but I was pleasantly surprised when I was finally able to experience it myself. Ground combat was chaotic and adrenaline-pumping excitement for my partner and I, punctuated with moments of glee as we exploited exposures and vaporized enemies from time to time. My bridge officers proved competent, keeping us alive, moving about the terrain to flank our opponents, and promptly reviving the fallen. The only thing I would change is to smooth out the camera movement when following my character over the shoulder; the only way to avoid nauseating shaky-cam was either to zoom as far out or as far in as possible. My better half votes for the ability to move into first-person view as well. Space combat was more slow-paced, but no less exciting. I have much to learn about maneuvering in a 3-D environment and remembering which key is the throttle and which lets me move upward, etc., but I enjoyed learning and making many mis-steps along the way to blowing up the hostiles. In space combat, I found I enjoyed looking for fights precisely because space felt so large that it was possible to avoid them. In other games I’ve played, I often come to dread combat after a time because the hillside/valley/forest/lakebed is frequently crawling with mobs and battles are inevitable without a stealth skill. Here, it was so easy to fly over, under, or around by such a wide margin that I was more often hankering for a good tussle. The Story’s the Thing (Content): The first (and only) criticism I have of the game content so far is that there is only one initial path of advancement for each character. Having only made it to Lieutenant 6 in the closed beta, I was never short of things to do, and in fact left behind a long list of unfinished mission items. We also took part in one PvP battleground, though we periodically queued for others. However, when I think of going through the same content again during OB, and then again for Headstart, and then having to create yet another character for the retail release (to take advantage of my pre-order bonuses), I grow weary. I’ve already decided to sit out the headstart in order to keep the starter content somewhat fresh in my mind, so I’m concerned about the replayability for people who are even less inclined to repeat content than I am. That said, we both greatly enjoyed the episode content we got to see. They had the same effect that Guild Wars missions and LOTRO Books had on me of making me want to rush to the next item to see how things turn out. I do not yet know if Cryptic is gating this content by level (like LOTRO or Age of Conan, who would give you story quests you had to level several more times before you were able to complete) or if they approach it more like Guild Wars where you can more or less choose to follow the story to its conclusion without having to deviate to “become stronger” in between episodes. I know which approach I prefer! Other: In our testing stint, we were unable to check out the Genesis system and do any exploration. We had two non-combat missions that I can recall, which broke up the combat content nicely. While it was nice to have those as alternatives to the combat, we could not determine beforehand whether we would be fighting or doing diplomacy; Cryptic might want to make that more apparent up front so that exploration junkies and diplomats can cherry-pick their adventures. Then again, Star Trek is about exploring the unknown and taking things as they come, is it not? I haven’t yet come to a final verdict on how the combat vs. non-combat content is being handled. Our Views: Ultimately, my partner and I are both looking forward to the open beta and the final release of STO. We don’t regret our pre-orders and we see STO shaping up as a game in which we will enjoy ourselves for some time to come while we look forward to more improvements and additional content down the line. We both level slowly enough that we don’t expect to run out of content or rub up against the endgame before there is anything to do there. As a primarily fantasy MMO fan whose favorite game is still Guild Wars, I found many positive similarities to GW in STO, and what was different is intriguing and makes me want to dive in and learn more, instead of being frustrated that the setting has Klingons and Targs instead of centaurs and dragons. I am the casual Trek fan who is familiar enough with all of the series and major players, but who hasn’t seen any of the TOS movies except for Wrath of Khan (I’m more of a Voy/TNG fan). I do like the franchise, but I wouldn’t have thought I’d enjoy entering the Star Trek universe as much as I did this weekend. My better half is the die-hard Trek fan and RTS gamer who doesn’t generally enjoy MMOs and who is eagerly awaiting his Constitution-class starship. He did express regret at one point that I was unable to join his ship crew and take over a bridge officer’s role, but he also acknowledges that since we tend to duo almost exclusively, a crew player game mechanic would probably cripple us when pitted against the player community at large. He chooses his bridge officers based on how hot they are, yet pores over their skill descriptions (Me: “They have skill descriptions! ?”) and revels in planning out crowd control strategies. I think we loosely cover two small corners of the STO player spectrum, and we give the title a solid two thumbs up.